We are pleased to announce a gorgeous litter of 4 Irish Doodles born December 5th. Based on their 46 pound Standard Poodle mom and 54 pound Irish Setter dad, we expect this litter of puppies to be 40-60 pounds full grown. These Irish doodle pups are sweet and loving. We believe they will make outstanding family members for a few fortunate forever homes. Pups can be hand delivered to your city for 70 cents a mile or $345 flat fee ($100 for each additional pup). 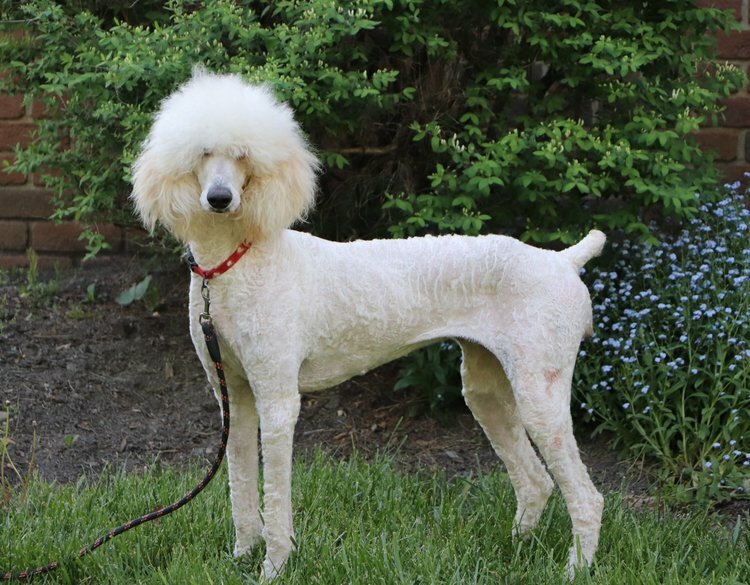 Thea is a pretty Irish Doodle girl with an apricot, wavy coat. She will definitely receive compliments as she grows older for both her gorgeous coat and wonderful personality! Thea loves her family and is so easy to love in return! Taffeta is a gorgeous little Irish Doodle girl with an adorable face and a red coat. Her sweet spirit melts our hearts and we know she will do the same for her lucky forever family! Tristan has a stunning dark red coat with deep, intelligent eyes. He is an affectionate, smart Irish Doodle boy who will make a wonderful companion! Tag is a picture-perfect Irish Doodle with a fun-loving and affectionate personality. He has a soft, apricot coat and has grown into a very handsome puppy. He has been a joy to raise and we believe that he will be easy to train!